Note - English description available at the bottom of this post. Automatic Download feature is added. 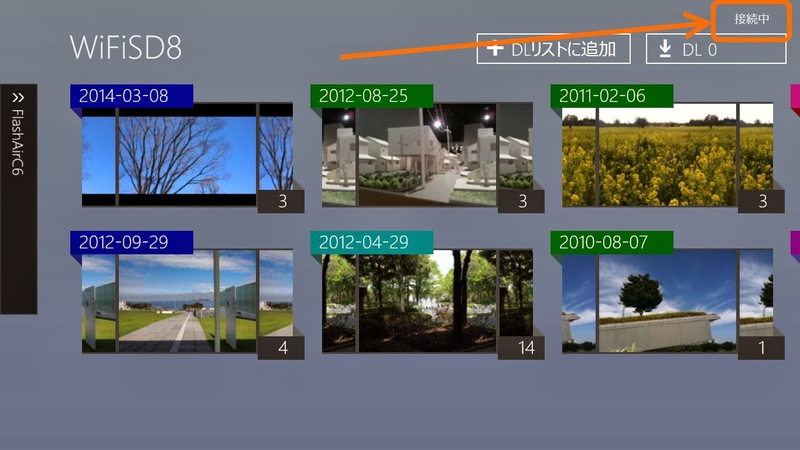 Download images automatically when the system is connected with camera via WiFi. If it is added while not connected, and adds to the download list when connected. To use this feature, turn on it from Settings Panel. Automatic Scrolling feature is added. You can use this feature when "WiFi Connected" && "You've opened the 'Today's group and show the images by full screen". 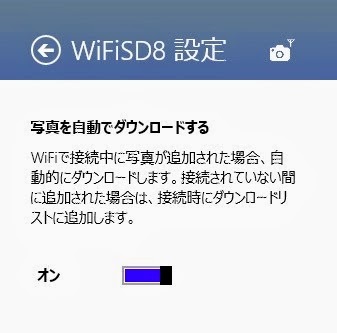 When you take the picture by camera, WiFiSD8 will scroll automatically to show the picture. Please refer the demo movie above. There are no settings item for this feature. United States, Japan, India, Germany, France, Australia, Austria, Belgium, Brazil, Canada, China, Hong Kong SAR, Ireland, Korea, Luxembourg, Mexico, New Zealand, Russia, Singapore, South Africa, Spain, Sweden, Switzerland, Taiwan, United Kingdom, Algeria, Argentina, Bahrain, Bulgaria, Chile, Colombia, Costa Rica, Croatia, Cyprus, Czech Republic, Denmark, Egypt, Estonia, Finland, Greece, Hungary, Indonesia, Israel, Italy, Jordan, Kazakhstan, Kuwait, Latvia, Lebanon, Libya, Lithuania, Malaysia, Malta, Morocco, Netherlands, Norway, Oman, Pakistan, Peru, Philippines, Poland, Portugal, Qatar, Romania, Saudi Arabia, Serbia, Slovakia, Slovenia, Sri Lanka, Thailand, Trinidad and Tobago, Tunisia, Turkey, Ukraine, United Arab Emirates, Uruguay, Venezuela, Vietnam, Iraq. Note - Available UI languages are: US-English and Japanese. Hi, does this app not work in STA MODE (APPMODE=5)? You can use both AP and STA mode. If the hostname is resolved, it can be used regardless of the mode. I'm using both mode for testing.